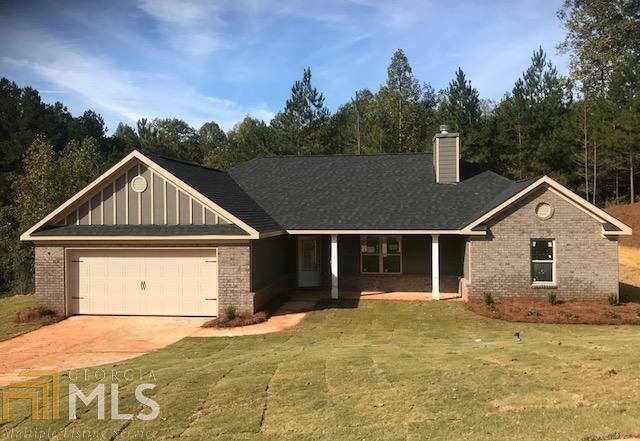 Cindy plan- NEW...UNDER CONSTRUCTION..Lovely open airy ranch has all the charm of the past w/its rocking chair front porch & features 4BR, 3BA plus bonus room. Gorgeous large master suite w/trey ceiling, master bath has separate shower, garden tub, double vanities and big walk in closet. Wonderful kitchen w/island, custom cabinets, granite countertops, opens to vaulted family rm w/fireplace. Bright roomy breakfast area opens to private backyard. Hardi board siding with brick accents. 100% FINANCING FOR QUALIFIED BUYERS! Builder will pay up to $4000 in closing costs w/ preferred lender. PICTURE IS NOT OF ACTUAL HOME.